Please tell me what’s wrong with this statement? That was the response I received as I counseled a new patient whose goal was to lose 150 pounds. Poor sweet lady, she just didn’t get it; she was only stressing her heart as she searched for an easy fix, believing a convenient “buy a box” program would work again. First, the only real diet is one that will work for an lifetime. Of course one could get lucky and lose a few pounds on a gimmicky diet plan but for how long? Sure it worked for celebrities but will it fit into your lifestyle? For example, if you entertain clients at restaurants, host office dinners for your husband, teach 32 children in your classroom or show homes as a realtor, it’s nearly impossible to follow a boxed diet program successfully. And keep in mind that the celebrity spokesperson, ecstatic over her current boxed food plan, has a lucrative contract, personal shopper, chef, publicist, housekeeper, private gym with trainer, stylist, masseuse and an incentive to look good in front of the television cameras! You’ve got a mirror and box of cheese doodles in your cabinet. And I can buy my family an entire day’s worth of food for one individual’s cost of a boxed program at $9-11 per day, not counting the extras that go with it like dairy, vegetables and fruit. Secondly, unless one knows how to maintain a balanced, HEALTHY diet, purchasers usually gain it all back and then some! Look at Oprah. Currently there are no one-on-one meetings with counselors to answer personal challenges on topics relevant to your individuality. We are each uniquely designed by God. We also have different DNA’s, lifestyles and challenges we face daily. A stay-at-home mom faces different stressors than a lawyer who’s single. That mom needs to know how to overcome the cupboard temptations calling her name while the lawyer needs to alleviate mental stress by hitting the gym after work. 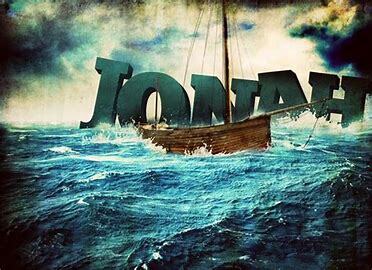 Are You Running Away Like Jonah? There are so many life lessons we can learn from the Biblical Jonah. As you recall, Jonah was commanded by God to go and preach to Nineveh but he ran away rather than face his responsibilities. Have you ever thought, well how foolish! I wouldn’t ever run away from God when He commands me to do something! He’s everywhere! But we do actually act like Jonah at times! We are commanded by God to go on a journey. It is a life journey. And as a Father, when His children rebel, God will get our attention in any way He can. Even by allowing storms (illness) to invade our body naturally when we consume too many unhealthy, chemically-laden foods. Remember that was our choice, not His. We live under Grace but are responsible for everything we do. Moderation is fine, but who forced us daily consume an entire bag of chips, overeat at the buffet or super-size that fast-food meal? Like Jonah, God asks us to follow specific orders. One of those is to keep our bodies holy and take care of this earthly temple He gave us. But we run away from this responsiblity, don’t we? Sometimes it seems like a monumental task trying to maintain a healthier lifestyle. Momentary pleasure overrides common sense. Think of it this way: If we entered the Holy Temple of Jerusalem, we wouldn’t throw trash on that sacred floor, would we? No, but it’s exactly what we’re doing when we continually throw unhealthy food into our bodily temple. Look at Jonah again. When God asked him to go to Nineveh, he foolishly ran from God, trying to sail away from his obligations. But the Lord sent a storm which affected not only Jonah, but the entire crew of the ship. That got his attention. Truth #2: there are no victimless crimes! What we do affects others. You might think, leave me alone! It’s my body! I’ll do what I please! Okay, Grace again. But when we eat unhealthily, we will eventually become ill. Heart disease, diabetes, digestive problems, strokes, cancer all trace back to what we eat. When we suffer, those around us suffer too! Just ask those who sit by our bedside while we’re in pain! As parents, God asks us to exemplify higher standards to our families and yet we continue to provide an abundance of fast food, causing our family members to become ill too. Don’t you think God notices? To correct our resistant, foolish direction, He might allow the consequences of that behavior to catch up with us. (As Jonah found out.) In our case, we might develop a simple belly ache or something worse like diabetes. Now the question is, since He now has our attention, do we turn from our naiveté and start living and eating right, or do we shake our fist at God, defiantly demanding, Why did You allow this to happen; growing even more defiant, turning away and running away from God? When faced with seemingly insurmountable goals, we get scared! It’s not easy but stop running! Immediately take baby steps to begin rectifying the situation. Start by consuming whole, nutritious foods. Stop trashing our earthly temple! This time of year everyone “resolves” to lose weight. 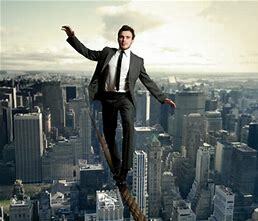 A tightrope walker doesn’t resolve to walk across the rope, he commits himself to successfully completing his goal every time! When we get married, we don’t resolve to love the person we are marrying. “Gee I hope I can love them forever . . . ” No, we vow to remain committed to them through good and challenging times. I’d rather people commit themselves to becoming healthier than resolving to lose weight. Health is more important than weight loss. 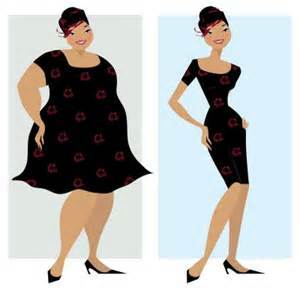 When one eats right, they naturally become slimmer because the body’s homeostasis kicks in. Homeostasis is simply a fancy word for the body’s natural innate physiological balance. Throughout the holiday season, from Thanksgiving to New Year’s, you, like me, probably attended a myriad of special events, parties and other functions. We bring out the best of our recipes to honor those around us. Trouble is, most of these special culinary delights are loaded with fats and simple sugars creating an acidic environment in which our body labors for proper balance. There is nothing wrong with a little natural sugar or butter occasionally but now we must start to rid ourselves of the toxins which rage within our system, preventing an optimum healthy environment. Many vow to begin a new year with a clean slate. They create resolutions – to resolve to “do better” through sheer willpower. I resolve to lose 50 pounds or not consume chocolate. 1. Be mentally ready or you are simply spinning your wheels, wasting time. You’ll lose of course but if you can’t reach or maintain a particular diet goal, you’ll start to yo-yo, losing muscle and gaining fat back. 2. Educate/research before falling for a false diet plan. Everyone is on some kind of diet, for a diet is only what one consumes each day. The only good “diet” is one you can sustain for a lifetime! So create a balanced one with more fruits, vegetables, whole grains, nuts, seeds and herbs as God encouraged in Genesis 1:29. 3. There is no secret formula to weight loss. True health comes from a balanced plan of nutrient-dense natural foods. (Mediterranean, DASH or Volumetric plans.) God originally created every nutrient in the Garden for a specific purpose; to maintain a healthy lifestyle. Mankind messed it up. Stay away from the artificial chemicals, dyes, preservatives and unnatural man-made products as much as possible. Those cannot metabolize in the liver. There they fester, creating a human chemistry lab where all sorts of diseases and cancers could evolve. Commit yourself to becoming healthier. It’s not simply a matter of willpower. It’s more complicated than that. It’s a matter of understanding physiology and how the hypothalamus controls your appetite and regulates nutrients. It’s a matter of emotions connected to food. Use my search engine to read my post: Sometimes a cookie isn’t “just a cookie” to understand how our feelings connect to our food choices. Don’t believe the lies of today’s false diet gurus who profess, “surely you won’t die if you try this diet plan.” As a nutritional counselor for over 25 years, I can assure you that yes, some do die following false prophets of hope. I am committing myself to posting more often this month to provide mental, physical and spiritual truth to those who are desperate to lose weight. I’m begging you to avoid those who profess outrageous dietary claims. Stay tuned. Godly Wisdom Wins Every Time! In Mathew 8:5-13 we learn of a Centurion who walked twenty miles along treacherous roads. Coming before Jesus, he asked him to heal his physically ill servant. Do you think the centurion consulted with every physician, faith healer and specialist in Capernaum before he searched for the famous miracle worker whom he had heard turned water into wine? Possibly. He was a product of his culture and the common practice of his era. I know, I know, twenty-twenty hindsight is perfect isn’t it? You might shake your head in disbelief but historically man hasn’t changed in over 2,000 years has he? Let me give you an example of what I encountered as a nutritional counselor. These upset the patient’s physiological well-being, creating a chemical imbalance, contributing to symptoms of diabetes, kidney stones, heart conditions, high cholesterol and countless other ailments. Many had now become obese due to “yo-yo” dieting. Those patients came to me defeated, miserable, frustrated but hopeful someone knew how to rectify their complicated physical ailments. That’s true, someone wiser than me did and that’s our Heavenly Designer, God. 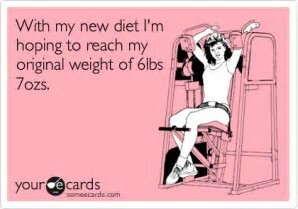 Have you seen all the diet plans out there? Most are unbalanced at best, dangerous at worst. God gave us the perfect diet: fruits, vegetables, whole grains, nuts, seeds and herbs. (Genesis 1:29) All fibrous foods. Then after the Flood He advised us to eat meat if we desired and we would remain healthier. Restrictive and other crazy diets don’t work! Taking away nutrients only makes us weak in other physiological areas. A diet of only fruit doesn’t allow us to absorb 50 other necessary nutrients. Starvation only slows our metabolism if it doesn’t stop it completely. Anything in moderation, God declared. (1 Corinthians 10:23) But nope – that’s not good enough for us. There must be something new and improved, right? Surely in 2,000 years a new diet has been discovered that is better than God’s plan! The more science discovers about our bodies, the more intricate we can see the Hand of God involved in it. To me, science actually proves the existence of God, (like He needs proving in the first place.) Do you really believe that the complicated, intricate, bacterial flagella simply evolved out of thin air or crystals rather than by Godly Design? It takes more faith to believe that, then it does that God created the heavens and the earth. But I’m not going to argue with you because Truth wins every time. Now or eternally. I must admit to a pet peeve and I’m probably not alone in this. Occasionally on Twitter, I’ll discover new people are “following” me. Great, love new followers! I’ve developed some fabulous friendships this way. But what really gets me ticked off, are those who only go on “fishing” expeditions. You know the ones I’m talking about. Those who “follow” my Twitter account in hopes I’ll click onto theirs and follow back, then unfollow the next day? These are “bait and switchers.” They care nothing about me. (Don’t like phonies, never have, never will.) They only want to add to their numbers (even some Christian sites do this! Shameful!) Sorry I won’t fall for it. I can “unfollow” faster than follow. I don’t understand their thinking. Why are they only searching for numbers? Do they believe an agent/ publisher will think, wow, so many followers! I’ll sell twelve more copies of their books. I’d rather have a 100 true friends than 74 thousand phony ones, wouldn’t you? My followers become friends and I praise God for some amazing people I’ve met through blogging, Facebook and Twitter. You see, like those who bait and switch to create a huge false following, those diets are fishing too. But you protest, “A million people can’t be wrong!” Sure they can. An old Chinese proverb professes, “Even if 5,000 men are wrong – they’re STILL wrong.” Numbers mean little except when it comes to Heaven. 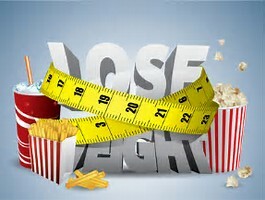 Of course millions have lost weight on diets – any diet will allow you to lose weight. But there’s no easy way to do so. More importantly, how many have kept it off? My guess is not many! False diet plans can’t be consumed forever because they are unbalanced. It’s physiology. The body’s chemistry would rebel. Those diets lack vital and necessary nutrients for normal physiological functions. The body wants to survive and will do all it can do rectify this false mindset, even shutting down your metabolism in order to conserve caloric energy. Or worse, retaining fat because it perceives the crops have failed and you need rescuing! What I am asking you to do is research before you act. Signing up for crazy diet plans will only make your wallet slimmer, not your waistline! Last week I featured a dear friend who celebrated her 100th birthday. In that blog I spoke of her positive mental attitude as being essential to a longer, happier life. We discussed many things that day and another was how consuming healthier foods gave her that extension on a life well-lived. Granted Judy grew up during an age without all the preservatives and chemicals found on our store shelves today. She ate more unprocessed whole foods. Sometimes I wish we could go back to a simpler time because many of today’s selection are literally killing us! I confess it drives me crazy to hear “Oh, I don’t eat carbs!” Oh really??? Well that means you don’t consume fruits, vegetables, whole grains, nuts, seeds or herbs which is against God’s Word in Genesis 1:29. What they probably mean is that they’re staying away from Simple Carbs and triglycerides like donuts, Twinkies and Pop Tarts. Good. But giving up ALL carbs is unbalanced and God wants us to live a balanced life. Complex Carbohydrates on the other hand, keep your body running like a well-oiled machine. These are loaded with nutrients, phytochemicals, amino acids and enzymes. Surprised to see amino acids on my list? You’re not alone. Most believe that amino acids (the building blocks of protein) are only found in meat. Actually all nine amino acids which the body cannot make on its own are found in plant proteins. Complex carbs metabolize in only 1-3 hours so people get hungrier sooner. But that’s not bad. It simply means the food is energizing you, so eat mini-meals, balanced with a little protein which lasts from 2-4 hours. Also your brain functions primarily on the glucose of those carbs so if you want to kill off your brain, go right ahead and avoid all carbs. I won’t. The two kinds of beneficial fiber found in CC’s accomplish much. Soluble fiber turns into a gel and is beneficial for the blood stream’s removal of toxins and bad cholesterol. Applesauce, oatmeal, pears are examples but a combination of both types are found in all fruits, vegetables. The second, Insoluble fiber, is like Rotor Rooter, pushing along toxins to clean out your digestive system so one’s body can absorb nutrients. Insoluble fiber passes along without breaking up. You can find it in corn, beets, apple skins, etc. These protect against colon cancer and liver disease. Increase any type of berry. They’ll fight inflammation by reducing oxidation and inflammatory stressors. As a side benefit they will increase brain function! Another complex carb usually avoided by dieters are nuts. When I began my nutritional career in the 1990s this was a food nutritional “experts” told people to avoid. When I thought about it, I questioned why. (Eggs and potatoes were also considered “no-no’s.” Would our God declare that all He created was “Good” and then wring His Hands and say, “Whoops!” I didn’t think so. After careful study I discovered how nuts contained a plentitude of B-complex vitamins, magnesium, manganese, calcium, copper, iron, zinc, selenium, omega 3’s and on and on. 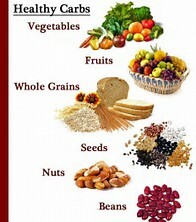 It also increases good cholesterol and contains fiber. Doesn’t sound like a mistake to me! Herbs and spices are complex carbs too. Spices are great for the circulation and our mental function. Spices are fibrous foods which lesson inflammation and regulates insulin production. Don’t fall for fallacies; God wants to provide a healthier environment and man messes it up!